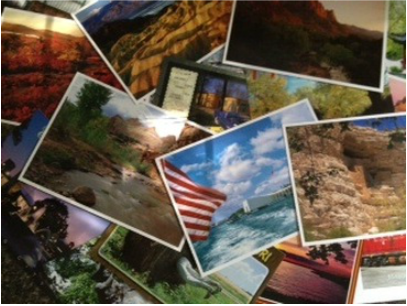 Pick a postcard image that captures how you're feeling about this STEM Literacy Project journey. Pair up for Partners Report according to card selected from your table. Determine partner A and partner B. Partner A will share his/her postcard connection first. Partner B will listen carefully and paraphrase. Paraphrase should be brief and capture essence of the message. Volunteer partners will report one another’s thinking to the whole group.